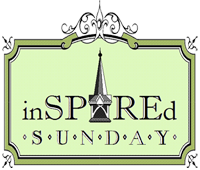 Welcome to InSPIREd Sunday where we share inspirational architecture such as churches, synagogues, cemeteries, or other religious buildings each and every weekend. Each Saturday @ 3 PM Pacific, 6 PM Eastern, and Sunday @ 12:00 AM (UTC +1), we open up the meme. After posting your link, we encourage you to visit others who are sharing their finds from around the world. Thank you for visiting and sharing your finds.